Twin Lakes, Churchill, Manitoba, Canada, June 18, 2006. 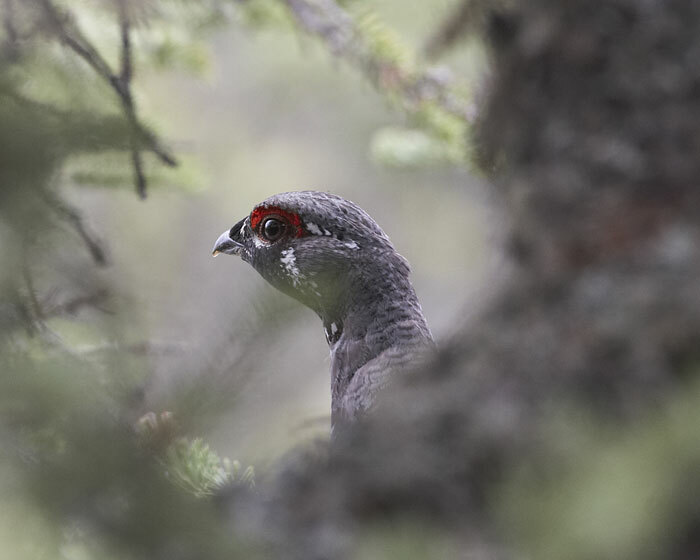 Jeri was walking by the tree when the grouse moved. At first I thought it might be a jay and was surprised it was a grouse. It remained in the tree while the entire group got a good look. Here the head is just barely visible through a gap in the branches.